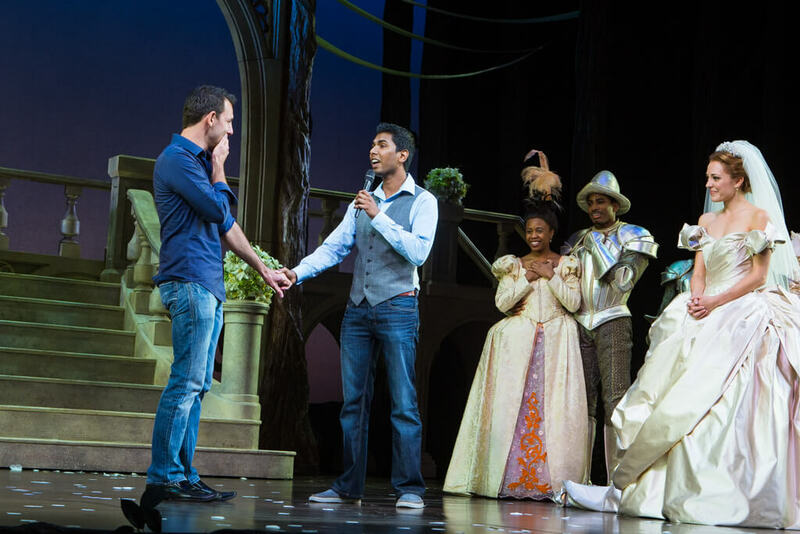 Cinderella Broadway show Marriage Proposal. 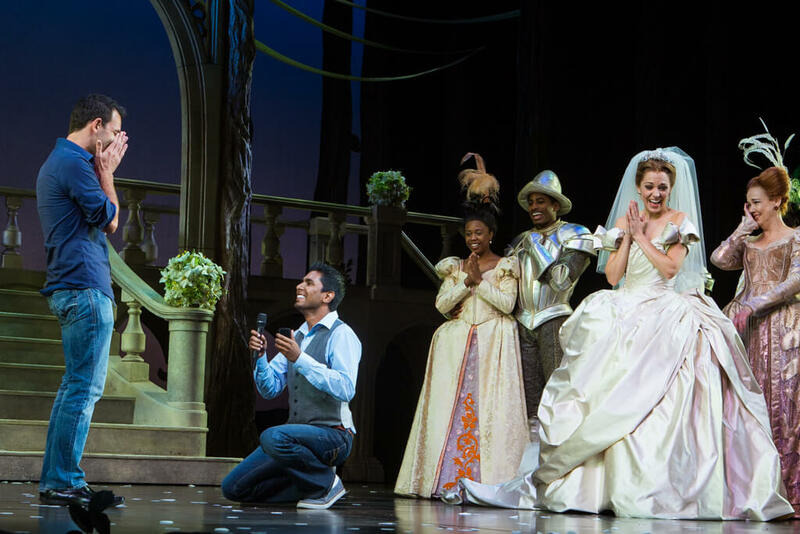 know that someone in my line of business should not have a favorite couple or proposal, but this romantic experience in the heart of Broadway ranks at the top of my list. 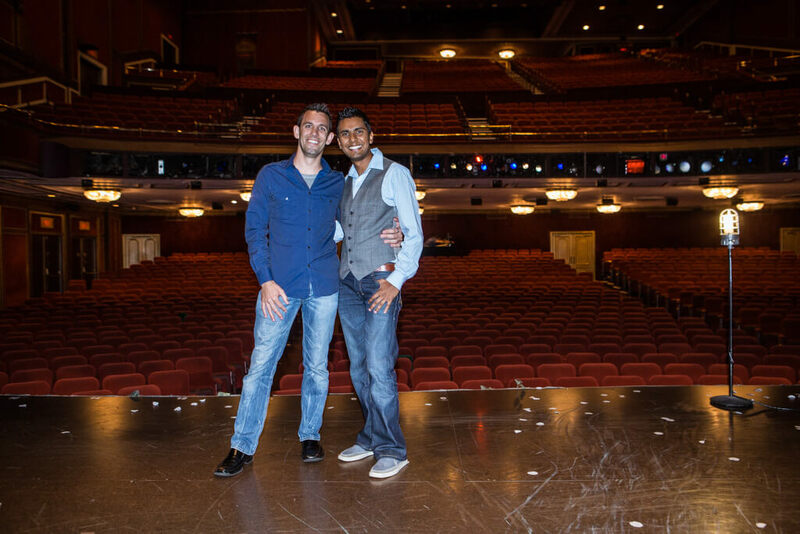 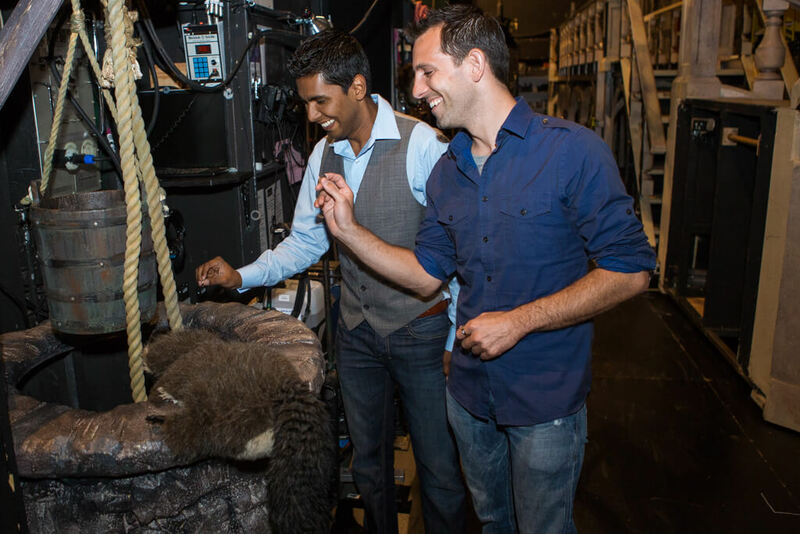 Kunal and Jason traveled to New York all the way from San Diego, and Kunal planned this perfect proposal for his musical theater loving partner-and the amazing cast of CINDERELLA was delighted to help make this magical moment possible. 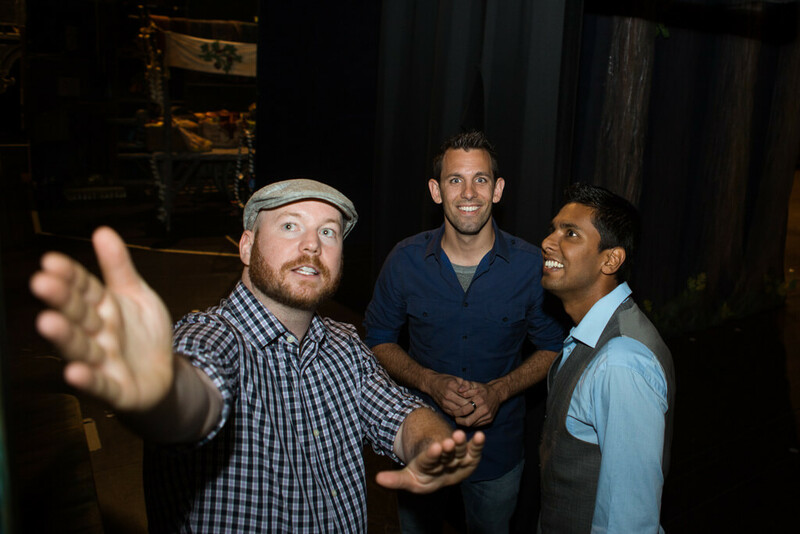 After the performance on September 4, 2013, Kunal arranged for them to be called up onstage under the guise of them being winners of a contest. 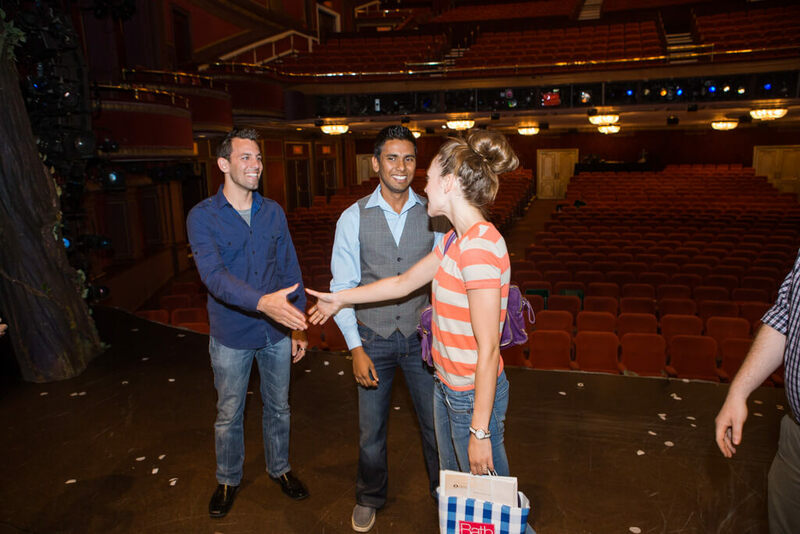 After giving a heartfelt speech, he popped the question to Jason's utter amazement. 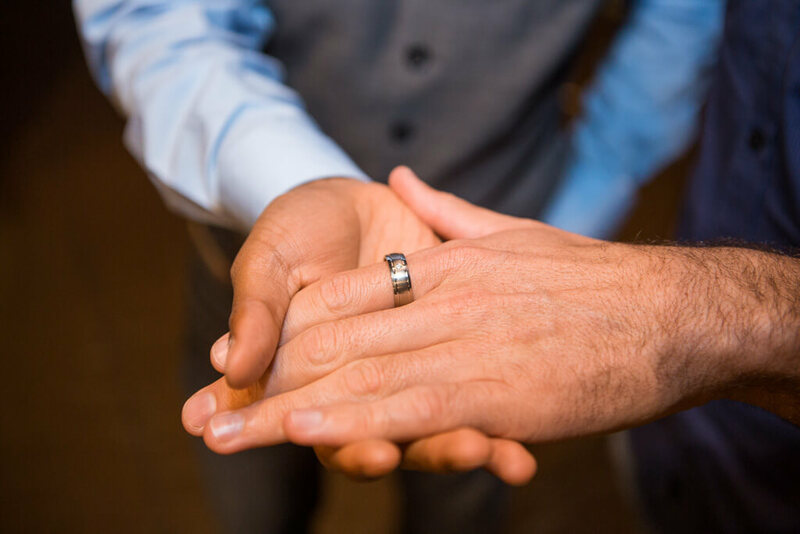 After giving a heartfelt speech, he popped the question to Jason's utter amazement. 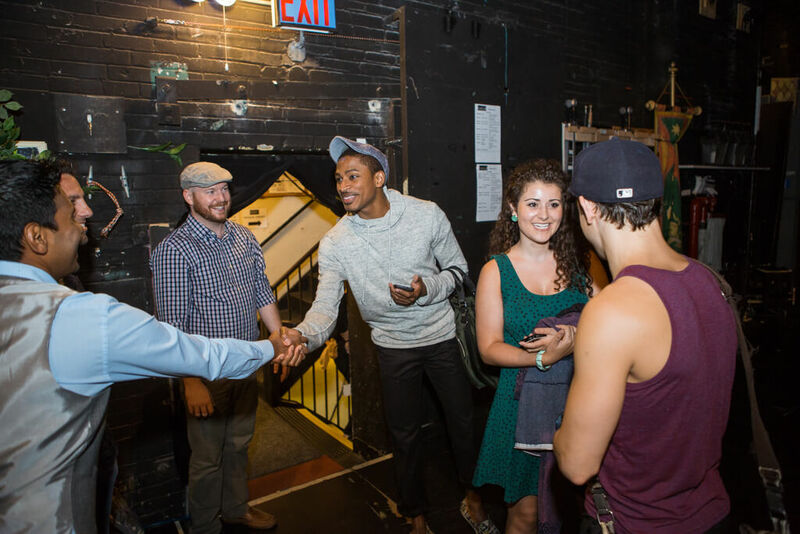 After all the applause died down, the guys got a personal tour backstage. 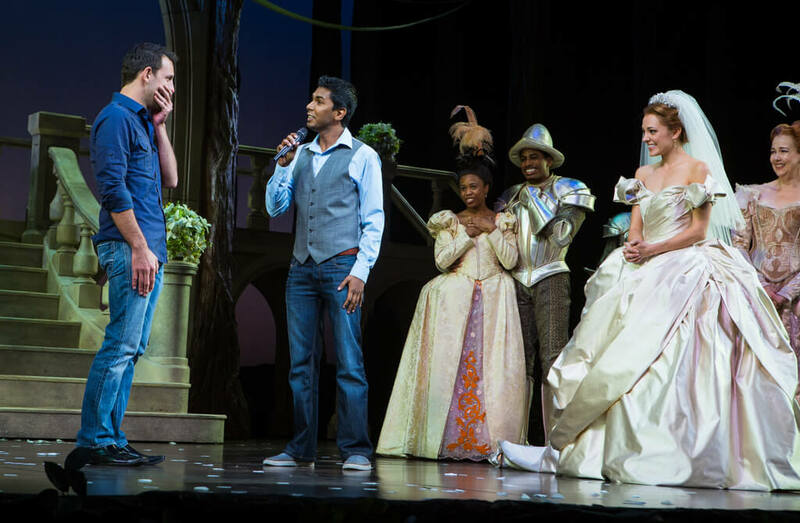 Romance does live on on the Great White Way! 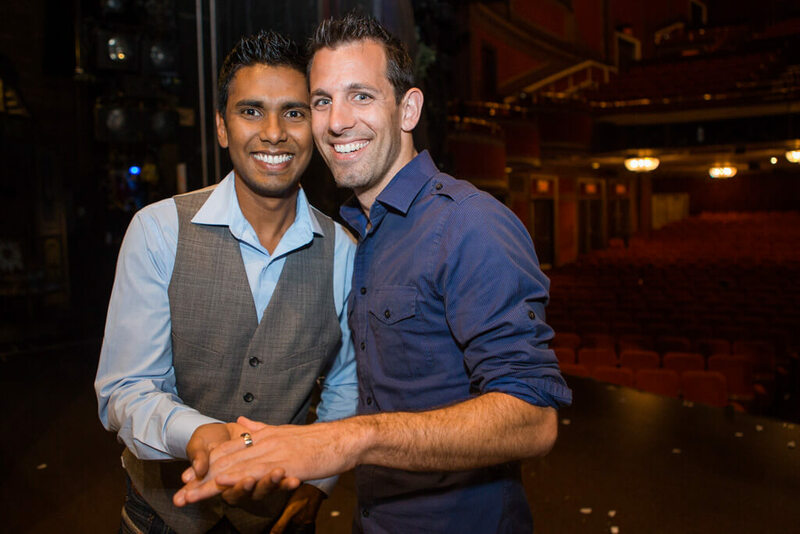 Congratulations to Kunal and Jason!